Should you use automated bidding methods in Google AdWords? The answer is both yes and no. Google AdWords aggressively requests for you to use automated bidding when they feel that you may get more conversions. Before you jump in and change to maximum click bidding, target CPA bidding or maximize conversion bidding evaluate if Google will really have enough data to properly serve your account. Here’s what I have seen in client accounts – if there are less than 15 to 20 conversions in any ad groups in a campaign and Google recommends target CPA bidding or maximize conversions, your click traffic will drop significantly and your cost per conversion will increase. Your cost per click will go through the roof. If you have 15 to 20 conversions in a 30 day period, Google AdWords may very effectively be able to increase conversions and lower costs. I caution moving directly into these bidding algorithms without these conversion numbers, even if AdWords says there will be an improvement. When I do enable automated bidding, I very carefully monitor costs and conversion numbers. I have seen these automated bidding algorithms crash top performing accounts or crazily line Google’s pockets with cash by boosting up the cost per click to numbers I would never choose to bid to. 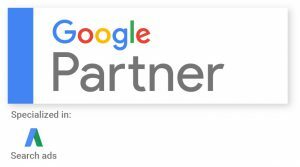 As always, if you need help with Google AdWords account management, we invite you to check out our credentials, services and pricing. The new AdWords interface – you love it or hate it. I have to say that I am coming around to loving it. When the interface was first introduced late last year, I really hated it. I found it difficult to use, hard to find the data I needed to make strategic decisions, and irritating that Google was continually flipping me into the interface from the regular older version. But, AdWords has told us (account managers) get used to it, as all accounts will be fully migrated to it this year. Slowly over time, AdWords has turned on features in the new interface that previously were disabled. Now the only item I use regularly that is still in the previous interface are account management rules. One of the nicest features I like about the new interface is the opportunities tab recommendations that are based on account performance and history. These recommendations are based on AdWords’ and Google’s use of machine learning at scale. Not every recommendation is right for an account, for example in some niche accounts the keywords that are suggested are not a match for the client’s goals, but in other areas the recommendations do bring in many cases account improvement. The automation of bidding for many accounts allows me to focus on strategy, testing , ad text and keyword discovery while still allowing me control over click costs. If you are looking for a savvy, experienced AdWords account management professional, I invite you to visit my website to find out what my AdWords team can do to boost AdWords account performance for you. 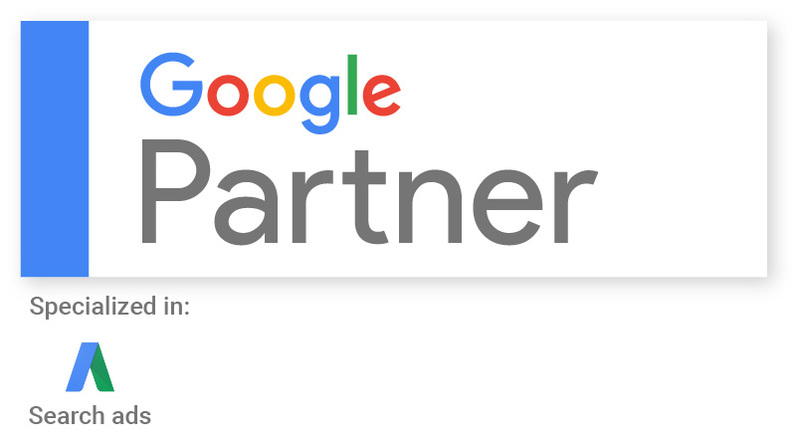 We have recently moved some of our long time staff into AdWords to assist with our growing client base. These are not new employees but rather employees that work very closely with me, are my family members, and are staff who have been working closely with me for years in many areas in addition to AdWords. You may see in your control panel now, new email addresses, if you look in change history. You may see my husband Michael, son Christopher Harper, and daughter Rebecca McCord. All three have been active in my business for years and have done AdWords reporting previously. They are now being trained under my watchful eye to perform routine account management services. These routine tasks would be identifying and adding negative keywords, adding new variations of ad text, reviewing accounts for performance anomalies and bringing them to my attention and learning over time how to optimize client accounts. I will still be reviewing all accounts personally and making all strategic decisions like bidding algorithm changes and budget changes. But now, I have extra eyes to keep track of activity and boost performance for you. AdWords ads work because they are relevant! It used to be that a person who used Google looked for the organic listings as they were near the top of the page and it was commonly thought that they were more authentic. That is not the case today. Google in its efforts to sell more ad space has aggressively sought to make ads more relevant to your every day experience. By tracking you relentlessly on mobile and desktop, Google has created a profile about you and serves ads based on your profile. What has happened is that the ads and listings we now see on searches are immediately relevant based on our searches and historical use. 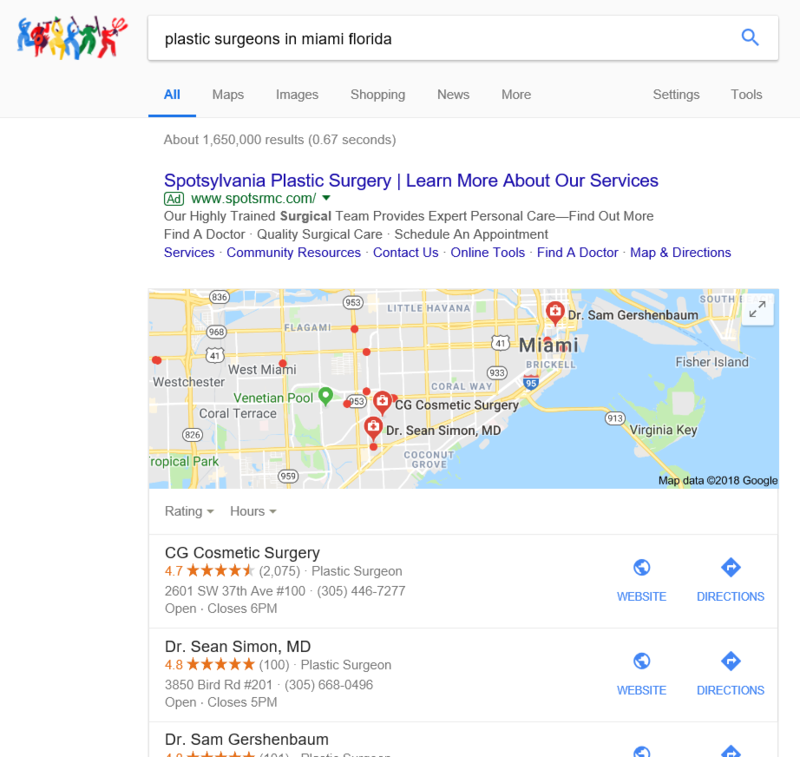 In addition, AdWords ads work to draw you in with extensions like maps, phone numbers, addresses, deep links into a site, customer reviews, rating stars – all served from the AdWords interface. Google determines when to show these extensions based on your proximity to a business, timing of a search, and your location. AdWords ads work because of Google intrusive anti-privacy approach, but we love the results! And businesses are generating “bank” from AdWords ad exposure. 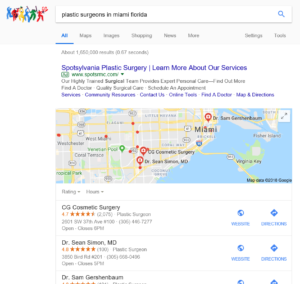 The screen shot to the right for a search for plastic surgeons in Miami Florida is shown on the top right. You can see from the screen above the fold that there are only paid listings and Google Maps listings and several of those maps listings may actually be paid listings. You have to really want to see the organic listings by scrolling to see the results. This is why AdWords works! If you are looking for a skilled AdWords account manager, please visit our website to find out more about how we can help you today. Machine Learning – Continued from Monday. Google AdWords is specifically using advanced machine learning via artificial intelligence in its automated bidding algorithms. Target CPA (Cost per Acquisition) bidding, Maximize Conversions, and Maximum Clicks are just samples of new bidding algorithms that can be used in AdWords accounts. Each algorithm has a place and function based on a client’s need and metrics of success. However, I have found that in some cases using these machine learning driven algorithms that cost per click increases as does cost per conversion. The value of an account manager in this automated environment is to provide the needed checks and balances to assure that your profitability goals are being met in AdWords. 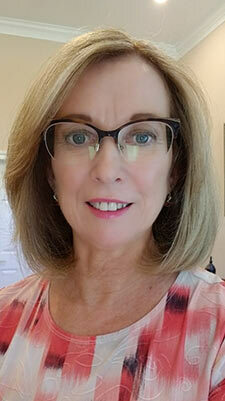 As Google integrates more machine learning applications in Google AdWords for suggestions, bidding, and account management, it now becomes even more important to have a business-minded AdWords experienced expert overseeing your account to achieve the best results at the lowest cost for your budget.